All our libraries offer free, unlimited wifi. Find your local library. We use 2 wifi providers. 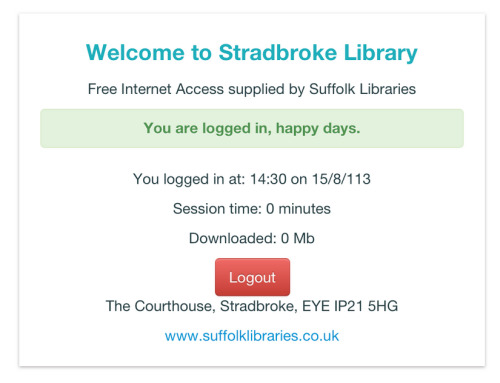 Ipswich County, Bury St Edmunds, Lowestoft and Brandon use O2 wifi, while all other libraries use Polkaspots wifi. Most of our sites use a service called Polkaspots. Open a browser (such as Firefox, Chrome, Opera or Internet Explorer) and visit any web page. You can now use the internet as you normally would. Note you can use the same email address for two devices, such as a laptop and a mobile phone. 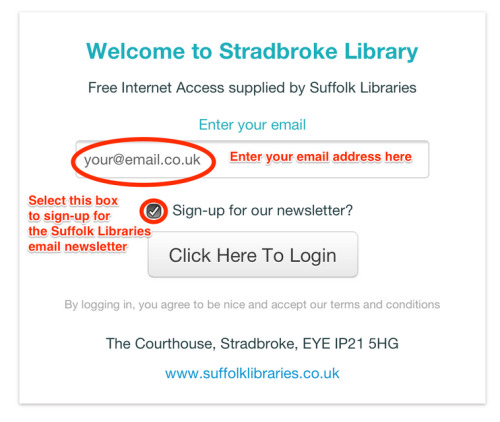 Brandon, Bury St Edmunds, Ipswich County and Lowestoft libraries use a wifi service provided by O2. See the O2 website for intructions.